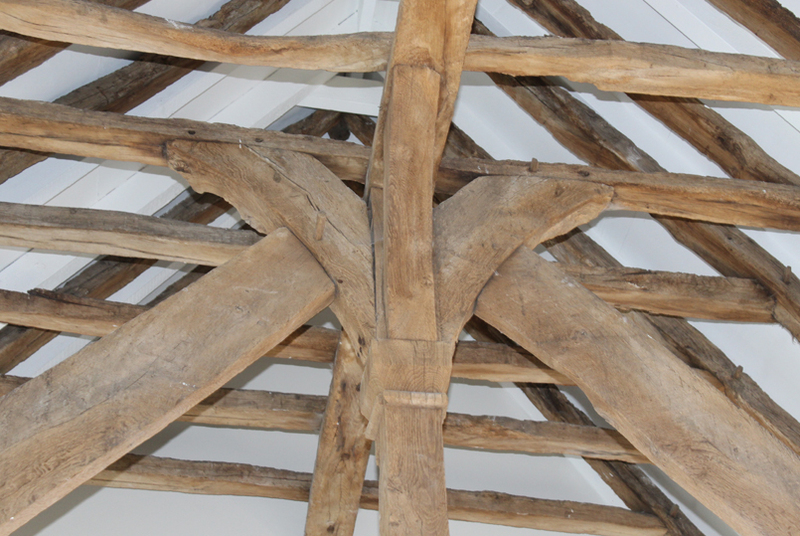 Abbey Barns Restoration Norfolk – Duncan Clark & Beckett – RIBA Chartered Architects Colchester, Essex. Duncan Clark and Beckett worked post planning on this extremely sensitive Grade I conservation project, in collaboration with Rose Builders. We prepared Building Regulations and constuction detail drawings; visiting site and providing technical support during construction. Timber vaulted ceilings are retained in these contemporary new apartments. Restored brick and flint walling.